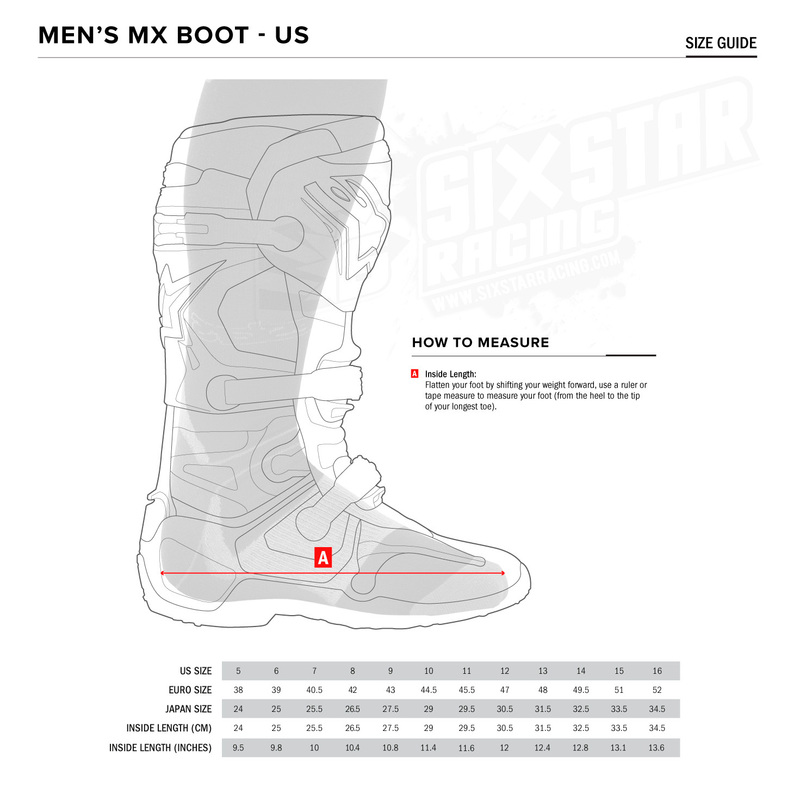 The Alpinestars Tech 7 Boots are a premium boot that works as the Tech 10's little brother in the Astars' lineup. Protection, comfort, and quality are all kept top notch, but with the exclusion of the Tech 10's inner bootie and support struts on the front and rear producing a lower price point, the Tech 7 represents an excellent value for a boot that is still very easily pro level in its performance. Starting with protection, the Tech 7 sports TPU panels, impact deflecting honeycomb rubber inserts, and a biomechanical hinge that give it a CE certified level of injury prevention. The one-piece, multi-compound lower also gives protection and a low-profile toe box as well, making shifting and finding your shifter that much easier. Dual-compound soles deliver plenty of traction on the pegs, and while they're very durable, they're also complete replacable. Durability for the boot as whole is top notch with tons of double stitching and single, uniform pieces of material getting used as much as possible. And to hold everything together, the Tech 7 has the very easy to use, self-cleaning, self-adjusting, aluminum "arrowhead" style cam buckles. Along with the rest of the nuanced features, the Tech 7 is well-loved for being a comfortable yet protective option that punches well above its price range.